This document was prepared for the middle school math teachers who are taking part in Project Skymath. It is also hoped that the general public will find it interesting. Disponible en espanol, toque aqui. It is easy to demonstrate that when two objectsof the same material are placed together (physicists say when they are put in thermal contact), the object with the higher temperature cools while the cooler object becomes warmer until a point is reached after which no more change occurs, and to our senses, they feel the same. When the thermal changes have stopped, we say that the two objects (physicists define them more rigorously as systems) are in thermal equilibrium . We can then define the temperature of the system by saying that the temperature is that quantity which is the same for both systems when they are in thermal equilibrium. and they all have the same temperature regardless of the kind of systems they are. where t is the temperature of the substance and changes as the property x of the substance changes. The constants a and b depend on the substance used and may be evaluated by specifying two temperature points on the scale, such as 32° for the freezing point of water and 212° for its boiling point. The historical highlights in the development of thermometers and their scales given here are based on "Temperature" by T. J. Quinn and "Heat" by James M. Cork. One of the first attempts to make a standard temperature scale occurred about AD 170, when Galen, in his medical writings, proposed a standard "neutral" temperature made up of equal quantities of boiling water and ice; on either side of this temperature were four degrees of heat and four degrees of cold, respectively. 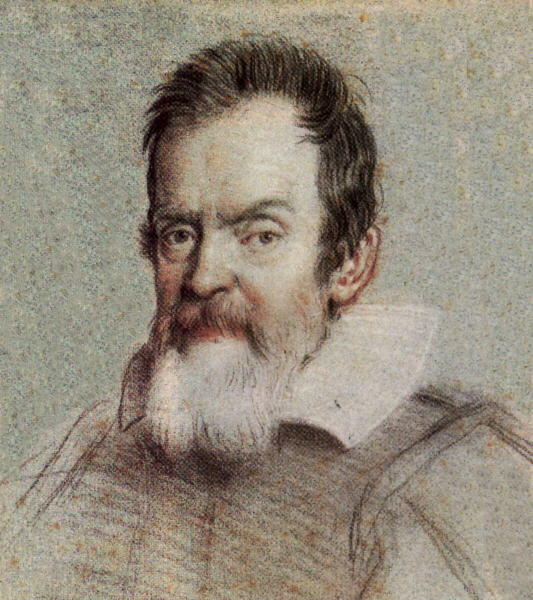 They consisted of a glass bulb having a long tube extending downward into a container of colored water, although Galileo in 1610 is supposed to have used wine. Some of the air in the bulb was expelled before placing it in the liquid, causing the liquid to rise into the tube. As the remaining air in the bulb was heated or cooled, the level of the liquid in the tube would vary reflecting the change in the air temperature. An engraved scale on the tube allowed for a quantitative measure of the fluctuations. The air in the bulb is referred to as the thermometric medium, i.e. the medium whose property changes with temperature. In 1641, the first sealed thermometer that used liquid rather than air as the thermometric medium was developed for Ferdinand II, Grand Duke of Tuscany. His thermometer used a sealed alcohol-in-glass device, with 50 "degree" marks on its stem but no "fixed point" was used to zero the scale. These were referred to as "spirit" thermometers. Robert Hook, Curator of the Royal Society, in 1664 used a red dye in the alcohol . His scale, for which every degree represented an equal increment of volume equivalent to about 1/500 part of the volume of the thermometer liquid, needed only one fixed point. He selected the freezing point of water. By scaling it in this way, Hook showed that a standard scale could be established for thermometers of a variety of sizes. Hook's original thermometer became known as the standard of Gresham College and was used by the Royal Society until 1709. (The first intelligible meteorological records used this scale). In 1702, the astronomer Ole Roemer of Copenhagen based his scale upon two fixed points: snow (or crushed ice) and the boiling point of water, and he recorded the daily temperatures at Copenhagen in 1708- 1709 with this thermometer. It was in 1724 that Gabriel Fahrenheit, an instrument maker of Däanzig and Amsterdam, used mercury as the thermometric liquid. Mercury's thermal expansion is large and fairly uniform, it does not adhere to the glass, and it remains a liquid over a wide range of temperatures. Its silvery appearance makes it easy to read. On this scale, Fahrenheit measured the boiling point of water to be 212. Later he adjusted the freezing point of water to 32 so that the interval between the boiling and freezing points of water could be represented by the more rational number 180. Temperatures measured on this scale are designated as degrees Fahrenheit (° F). (i) The triple point of water is defined to be 0.01° C.
To convert from Celsius to Fahrenheit: multiply by 1.8 and add 32. ° K = ° C + 273. 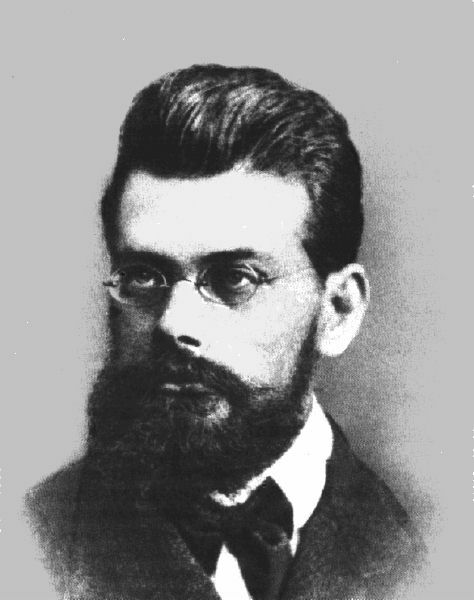 P. Chappuis in 1887 conducted extensive studies of gas thermometers with constant pressure or with constant volume using hydrogen, nitrogen, and carbon dioxide as the thermometric medium. Based on his results, the Comité International des Poids et Mesures adopted the constant-volume hydrogen scale based on fixed points at the ice point (0° C) and the steam point (100° C) as the practical scale for international meteorology. Experiments with gas thermometers have shown that there is very little difference in the temperature scale for different gases. Thus, it is possible to set up a temperature scale that is independent of the thermometric medium if it is a gas at low pressure. In this case, all gases behave like an "Ideal Gas" and have a very simple relation between their pressure, volume, and temperature: pV= (constant)T.
This temperature is called the thermodynamic temperature and is now accepted as the fundamental measure of temperature. Note that there is a naturally-defined zero on this scale - it is the point at which the pressure of an ideal gas is zero, making the temperature also zero. We will continue a discussion of "absolute zero" in a later section. With this as one point on the scale, only one other fixed point need be defined. In 1933, the International Committee of Weights and Measures adopted this fixed point as the triple point of water , the temperature at which water, ice, and water vapor coexist in equilibrium); its value is set as 273.16. 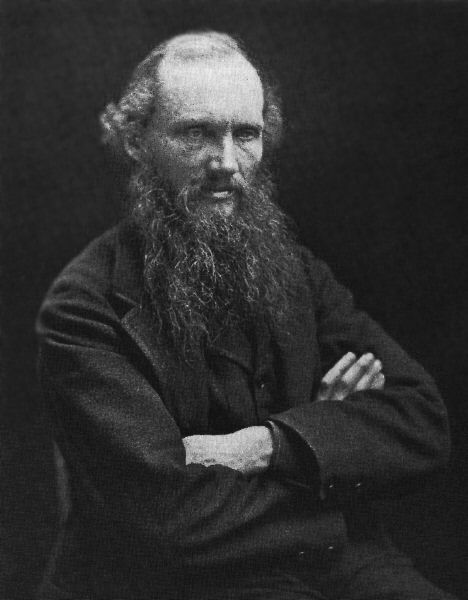 The unit of temperature on this scale is called the kelvin, after Lord Kelvin (William Thompson), 1824-1907, and its symbol is K (no degree symbol used). K = ° C + 273. Thermodynamic temperature is the fundamental temperature; its unit is the kelvin which is defined as the fraction 1/273.16 of the thermodynamic temperature of the triple point of water. Sir William Siemens, in 1871, proposed a thermometer whose thermometric medium is a metallic conductor whose resistance changes with temperature. The element platinum does not oxidize at high temperatures and has a relatively uniform change in resistance with temperature over a large range. The Platinum Resistance Thermometer is now widely used as a thermoelectric thermometer and covers the temperature range from about -260° C to 1235° C.
Several temperatures were adopted as Primary reference points so as to define the International Practical Temperature Scale of 1968. The International Temperature Scale of 1990 was adopted by the International Committee of Weights and Measures at its meeting in 1989. Between 0.65K and 5.0K, the temperature is defined in terms of the vapor pressure - temperature relations of the isotopes of helium. Between 3.0K and the triple point of neon (24.5561K) the temperature is defined by means of a helium gas thermometer. Between the triple point of hydrogen (13.8033K) and the freezing point of silver (961.78°K) the temperature is defined by means of platinum resistance thermometers. 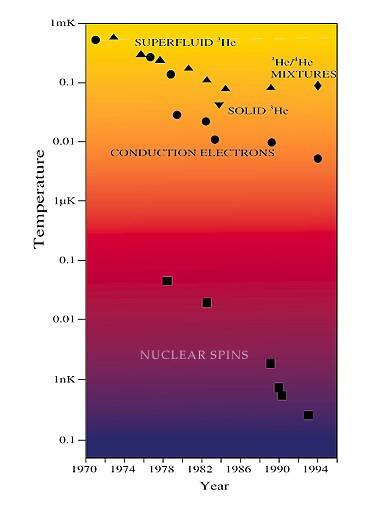 Above the freezing point of silver the temperature is defined in terms of the Planck radiation law. T. J. Seebeck, in 1826, discovered that when wires of different metals are fused at one end and heated, a current flows from one to the other. The electromotive force generated can be quantitatively related to the temperature and hence, the system can be used as a thermometer - known as a thermocouple. The thermocouple is used in industry and many different metals are used - platinum and platinum/rhodium, nickel-chromium and nickel-aluminum, for example. The National Institute of Standards and Technology (NIST) maintains databases for standardizing thermometers. For the measurement of very low temperatures, the magnetic susceptibility of a paramagnetic substance is used as the thermometric physical quantity. For some substances, the magnetic susceptibility varies inversely as the temperature. Crystals such as cerrous magnesium nitrate and chromic potassium alum have been used to measure temperatures down to 0.05 K; these crystals are calibrated in the liquid helium range. This diagram and the last illustration in this text were taken from the Low Temperature Laboratory, Helsinki University of Technology's picture archive. For these very low, and even lower, temperatures, the thermometer is also the mechanism for cooling. Several low-temperature laboratories conduct interesting applied and theoretical research on how to reach the lowest possible temperatures and how work at these temperatures may find application. Benjamin Thomson, Count Rumford, published a paper in 1798 entitled "an Inquiry Concerning the Source of Heat which is Excited by Friction". Rumford had noticed the large amount of heat generated when a cannon was drilled. He doubted that a material substance was flowing into the cannon and concluded "it appears to me to be extremely difficult if not impossible to form any distinct idea of anything capable of being excited and communicated in the manner the heat was excited and communicated in these experiments except motion." 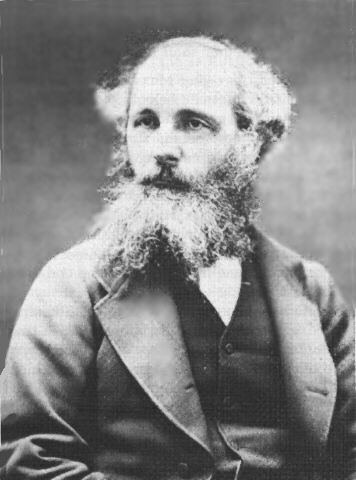 But it was not until J. P. Joule published a definitive paper in 1847 that the the caloric idea was abandoned. Joule conclusively showed that heat was a form of energy. 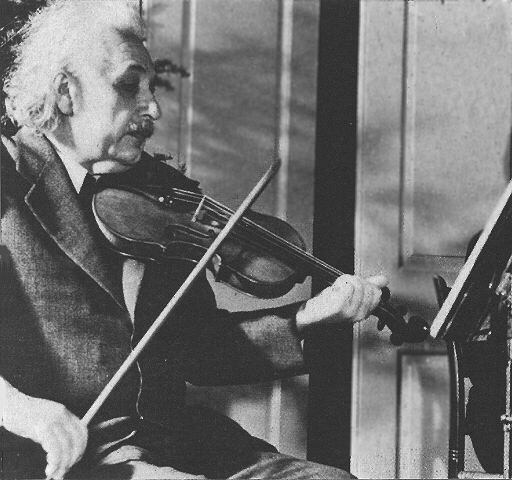 As a result of the experiments of Rumford, Joule, and others, it was demonstrated (explicitly stated by Helmholtz in 1847), that the various forms of energy can be transformed one into another. When heat is transformed into any other form of energy, or when other forms of energy are transformed into heat, the total amount of energy (heat plus other forms) in the system is constant. No cyclic machine can convert heat energy wholly into other forms of energy. It is not possible to construct a cyclic machine that does nothing but withdraw heat energy and convert it into mechanical energy. This brief summary is abridged from a more detailed discussion to be found in Quinn's "Temperature"
About the same time that thermodynamics was evolving, James Clerk Maxwell (1831-1879) and Ludwig Boltzmann (1844-1906) developed a theory describing the way molecules moved - molecular dynamics. The molecules that make up a perfect gas move about, colliding with each other like billiard balls and bouncing off the surface of the container holding the gas. The energy associated with motion is called Kinetic Energy and this kinetic approach to the behavior of ideal gases led to an interpretation of the concept of temperature on a microscopic scale. 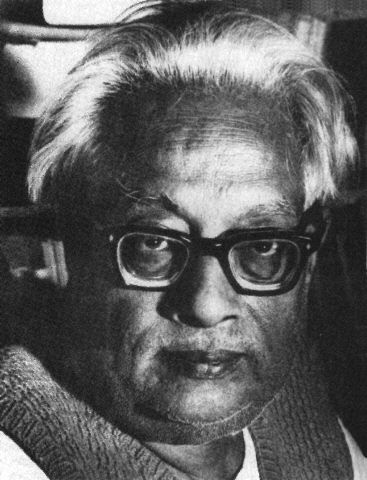 In July, 1995, physicists in Boulder, Colo.achieved a temperature far lower than has ever been produced before and created an entirely new state of matter predicted decades ago by Albert Einstein and Satyendra Nath Bose. The press release describes the nature of this experiment and a full description of this phenomenon is described by the University of Colorado's BEC Homepage. Dealing with a system which contained huge numbers of molecules requires a statistical approach to the problem. 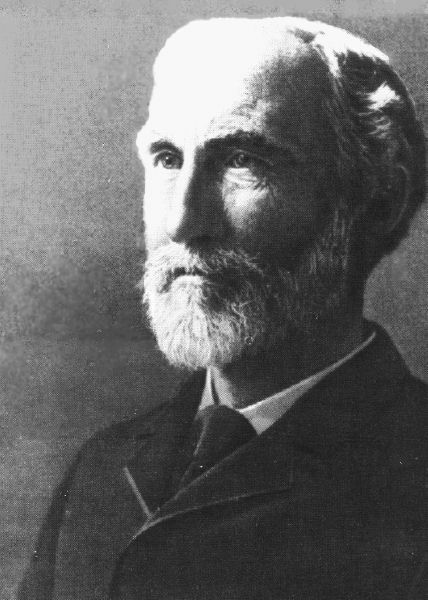 About 1902, J. W. Gibbs (1839-1903) introduced statistical mechanics with which he demonstrated how average values of the properties of a system could be predicted from an analysis of the most probable values of these properties found from a large number of identical systems (called an ensemble). Again, in the statistical mechanical interpretation of thermodynamics, the key parameter is identified with a temperature which can be directly linked to the thermodynamic temperature, with the temperature of Maxwell's distribution, and with the perfect gas law. With this understanding of the concept of temperature, it is possible to explain how heat (thermal energy) flows from one body to another. Thermal energy is carried by the molecules in the form of their motions and some of it, through molecular collisions, is transferred to molecules of a second object when put in contact with it. This mechanism for transferring thermal energy by contact is called conduction. A second mechanism of heat transport is illustrated by a pot of water set to boil on a stove - hotter water closest to the flame will rise to mix with cooler water near the top of the pot. Convection involves the bodily movement of the more energetic molecules in a liquid or gas. The third way that heat energy can be transferred from one body to another is by radiation; this is the way that the sun warms the earth. The radiation flows from the sun to the earth, where some of it is absorbed, heating the surface. In the diagram, the electric (red) and magnetic (blue) oscillations are orthogonal to each other - the electric lying in the xy plane; the magnetic, in the xz plane. The wave is traveling in the x direction. An electromagnetic wave can be defined in terms of the frequency of its oscillation, designated by the Greek letter nu (v). The wave moves in a straight line with with a constant speed (designated as c if it is moving through a vacuum); the distance between successive 'peaks' of the wave is the wavelength, ,of the wave and is equal to its speed divided by its frequency. The electromagnetic spectrum covers an enormous range in wavelengths, from very short waves to very long ones. where the total energy is per unit area per second emitted by the back body, T is its absolute (thermodynamic) temperature and is the Stefan-Boltzmann constant. The curves illustrated below show that the hotter the body is, the brighter it is at shorter wavelengths. The surface temperature of the sun is 6000 K, and its Planck curve peaks in the visible wavelength range. 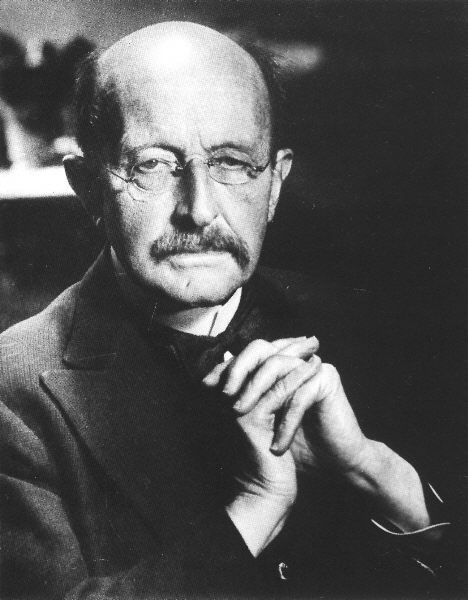 For bodies cooler than the sun, the peak of the Planck curve shifts to longer wavelengths, until a temperature is reached such that very little radiant energy is emitted in the visible range. where (max) is the wavelength of maximum brightness in cm and T is the absolute temperature of the black body. The human body has a temperature of about 310 K and radiates primarily in the far infrared. If a photograph of a human is taken with a camera sensitive to this wavelength region, we get a "thermal" picture. This picture is courtesy of the Infrared Processing and Analysis Center, Jet Propulsion Laboratory, NASA. In 1965, Arno Penzias and Robert Wilson were conducting a careful calibration of their radio telescope at the Bell Laboratory at Whippany, New Jersey. The found that their receiver showed a "noise" pattern as if it were inside a container whose temperature was 3K - i.e. as if it were in equilibrium with a black body at 3 K. This "noise" seemed to be coming from every direction. Earlier theoretical predictions by George Gamow and other astrophysicists had predicted the existence of a cosmic 3 K background. 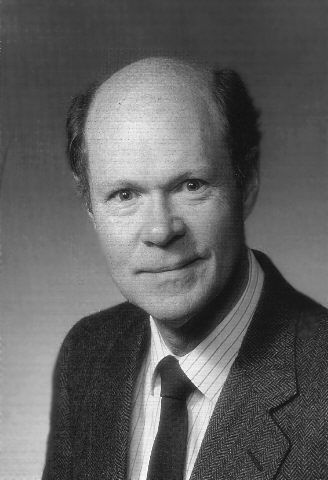 Penzias' and Wilson's discovery was the observational confirmation of the isotropic radiation from the Universe, believed to be a relic of the "Big Bang". The enormous thermal energy released during the creation of the universe began to cool as the universe expanded. Some 12 billion years later, we are in a universe that radiates like a black body now cooled to 3 K. In 1978 Penzias and Wilson were awarded the Nobel prize in physics for this discovery. A black body at 3 K emits most of its energy in the microwave wavelength range. Molecules in the earth's atmosphere absorb this radiation so that from the ground, astronomers cannot make observations in this wavelength region. In 1989 the Cosmic Background Explorer (COBE) satellite, developed by NASA's Goddard Space Flight Center, was launched to measure the diffuse infrared and microwave radiation from the early universe. 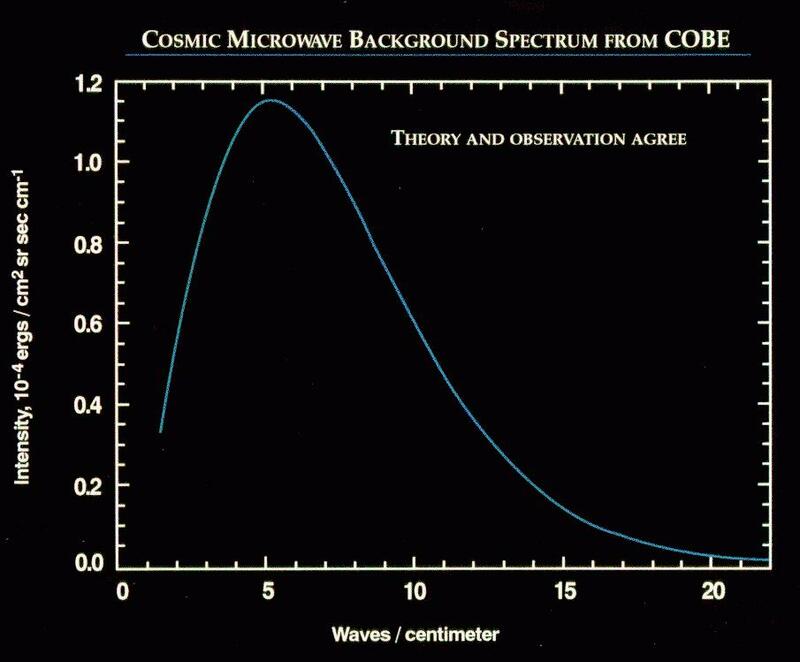 One of its instruments, the Far Infrared Absolute Spectrophotometer (FIRAS) compared the spectrum of the cosmic microwave background radiation with a precise blackbody. The cosmic microwave background spectrum was measured with a precision of 0.03% and it fit precisely with a black body of temperature 2.726 K. Even though there are billions of stars in the universe, these precise COBE measurements show that 99.97% of the radiant energy of the Universe was released within the first year after the Big Bang itself and now resides in this thermal 3 K radiation field. A more detailed explanation of the origin of the microwave background radiation, and its possible anisotropy, may be found here. A new mission selected by NASA is the Microwave Anisotropy Probe (MAP) will measure the small fluctuations in the background radiation and will yield more information on the details of the early universe. The European Space Agency has a similar mission planned. One of the beauties of "publishing" on the web is the interactive element it offers. Joachim Reinhardt has written to point out that the highest temperatures that are accessible on earth (only surpassed by the early stages of the big bang) occur in high-energy collisions of particles (in particular of heavy ions), during which one sees a "fireball" with a temperature of several hundred MeV (which corresponds to a temperature of 10 to the 12th power k). This fireball cools down by expanding and by radiating off particles, mostly pions, quite similar to the thermal black-body radiation. Thermal physics is a field rich in theoretical and practical applications. I would like to thank Rick Ebert of IPAC for his help in locating some of the infrared files used here and Dave Leisawitz of NASA Goddard for his very careful editing of the article and for his assistance with the COBE results. 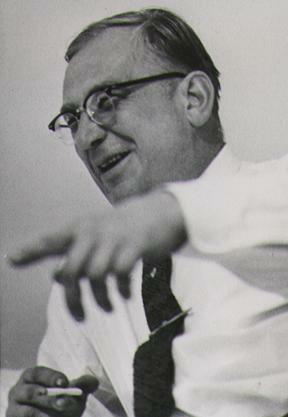 Joachim Reinhardt generated the pictures of most of the scientists. Thanks to Seth Sharpless for scanning Galen's picture. 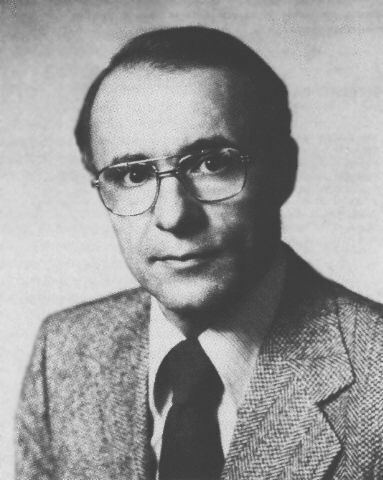 Carl Mungan provided advice on low-temperature thermodynamics, and very generously served as an "expert" reviewer. You are the [an error occurred while processing this directive] visitor to "About Temperatures" since 21 November 1995, hope you enjoyed it!